For those who have completed the Level One training, I offer your choice of Home Study or onsite learning for Level Two Certification. See 'Classes' for list of upcoming dates. Students will follow the directions given in their folder of assignments. When completed, the students will then complete the test and mail, or email, the answers back to the center for grading. A passing grade of 80% or higher will entitle the student to certification in Level Two. Students will then become Level Two Tuning Fork Therapy® Practitioners and will be able to certify others in both Level One and Level Two. and $75 for all other European Countries. To purchase the Level Two book-only. (No Certification) Click button below. Please remember that you cannot call yourself a 'Tuning Fork Therapy® Practitioner' without certification from this organization. It is a copyrighted name. Cost: $30 plus $4.99 postage (US only). 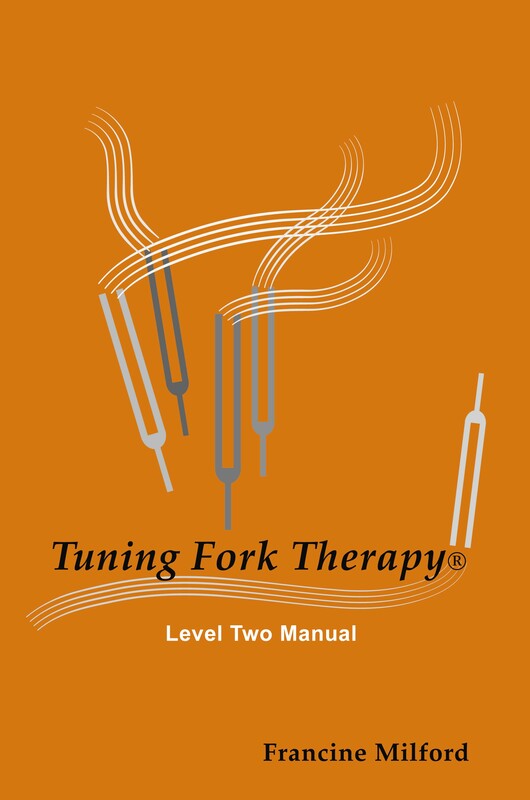 Each student in the Level Two Tuning Fork Therapy® Practitioner certification course will receive a weighted OM tuning forks in a velvet pouch. 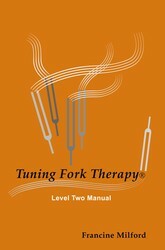 Order your Level Two Tuning Fork Therapy® Practitioner Certification Today! "Well, maybe it's not a phenomenon but it seems that way for me. I was working on my level 2 information on Saturday afternoon and practicing reflex points on my feet. I was really working on the chest/lymph for my breast cysts. However, It is now Thursday and I have not had 1 puff off my inhaler for my asthma since last Saturday. This has NEVER happened! I usually can't go without taking at least one puff each day. I haven't had medication in almost a week. This is very exciting for me," P.T. "Thanks so much for sharing your knowledge in a an easy to learn format," P.B. Purchased laminated reflexology charts to use in class. Make copies of reflexology charts for your students. You can use cheap black eye brow pencils and have your students use them to draw the lines on their hands and feet. (Be sure to have plenty of wipes handy to clean up). Have students work on themselves first, then partner them up and work on each other. It is very interesting and they can see and feel the difference when they work on themselves, when they work on others and when someone works on them. Have your students try different techniques, especially direct and indirect contact on a point. Have them close their eyes and feel the difference in the energy.